These are the illegal buckets Yunus Latif used to fill up gas in Orange. He planned to take them to his friends and neighbors in New York CIty. 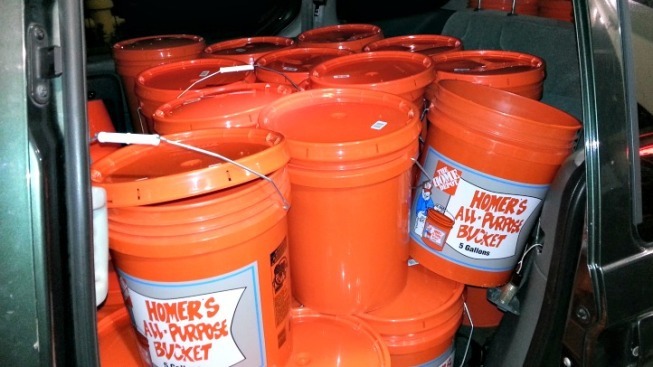 Police arrested a 47-year-old New York man accused of filling up 30 five-gallon Home Depot buckets with gasoline on Saturday night. 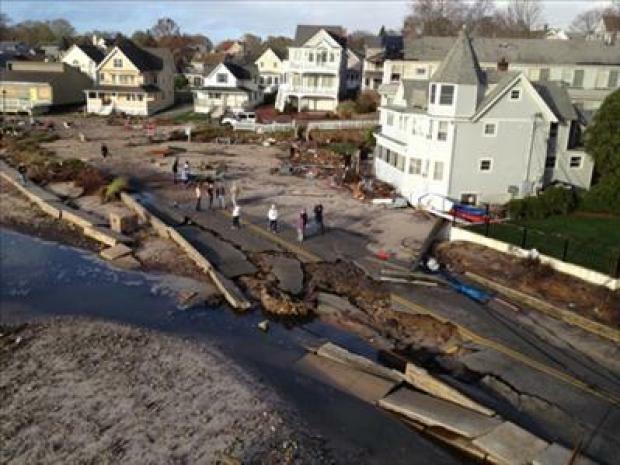 Since Superstorm Sandy hit last Monday, drivers from New York and New Jersey have been heading north to get gasoline. On Friday, police said gas lines in Greenwich were growing because New Yorkers were stopping on Interstate 95 to fill up, causing a drain on the local supply. This time, a New York driver made the journey further north for gas. Just before 9 p.m. on Saturday in Orange, police found buckets filled with 4 gallons each stacked inside Latif's van and it looked like the lids were beginning to expand, officials said. That owner of the Valero gas station, located at 347 Boston Post Road, was arrested as well. Police claimed Muniruzzaman Gomosta, 41, should have known what Latif was doing since he came into the store several times to pay for buckets of gasoline. Gomosta said the gas station was very busy and he did not realize that Latif was filling five-gallon buckets with gas, said police. Both men were issued a misdemeanor summons for violation of regulation concerning flammable or combustible liquids. Latif and Gomosta are expected to appear in court on Nov. 19. 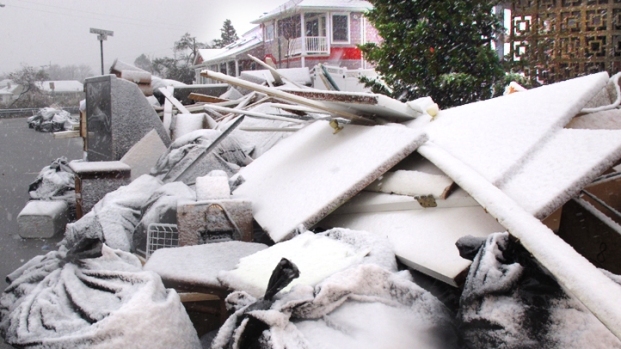 The gas was returned to underground storage tanks, police said.